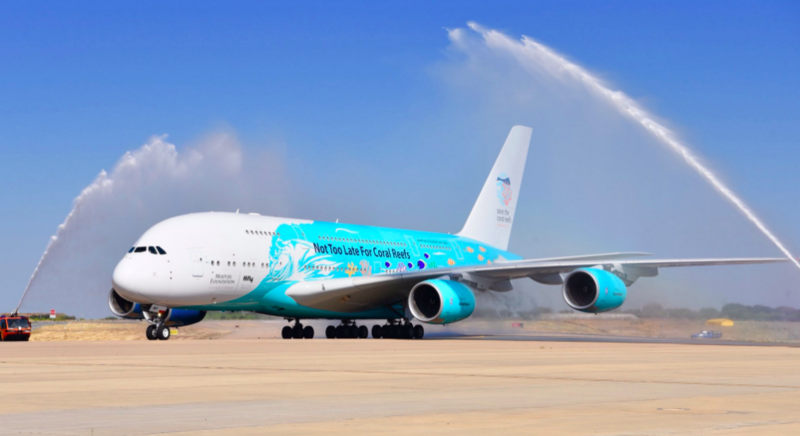 Hi Fly is the first charter airline to have an A380, as they’re operating the plane on behalf of other airlines. 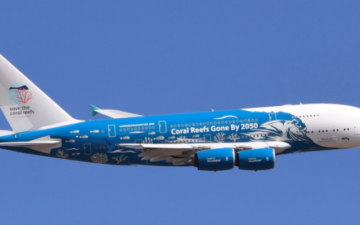 Hi Fly took over this A380 from Singapore Airlines, as the airline chose not to renew their 10 year lease on the plane. In early February we learned that Hi Fly found a customer for the A380 for the entire summer season. While that customer still hasn’t been revealed, it looks like Hi Fly has just found a short term customer. At the moment Air Senegal is leasing Hi Fly’s A380 to operate their flight between Paris, France, and Dakar, Senegal. 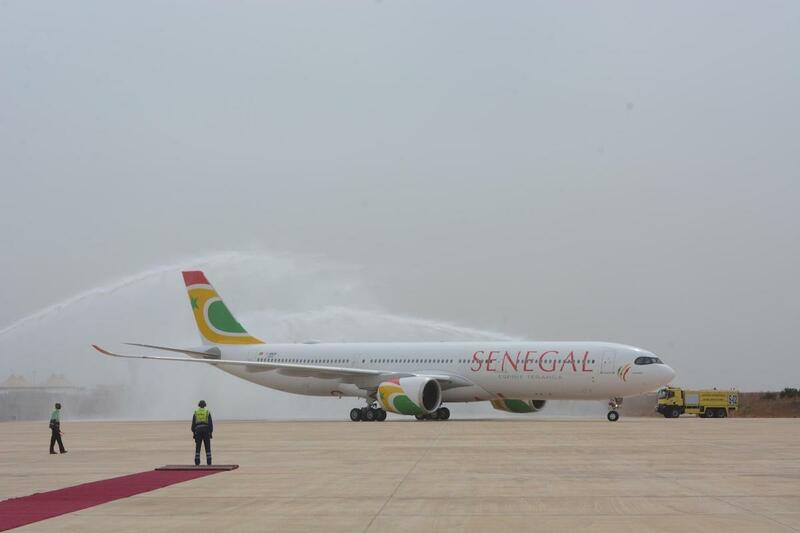 What makes this even more interesting is that Air Senegal has a brand new Airbus A330-900neo that’s just weeks old, but I guess they’re already having issues with this. The A330-900neo still operated yesterday’s flight from Paris to Dakar, though didn’t operate the flight back to Paris today. Meanwhile the Hi Fly A380 positioned from Beja to Paris this morning, before continuing to operate a flight to Dakar. I have to assume this isn’t just a one day lease, because if it were such a minor problem they would probably just cancel the flight for a day, rather than incurring the expense of leasing an A380, including positioning costs. I’ll be curious to see how long this Air Senegal A380 lease lasts. I’ll assume it’s more than just a day, but I’d guess it won’t last weeks, since Hi Fly apparently has another customer in the coming weeks. Suffice to say that’s quite a capacity upgrade for the plane. While I do not place Air Senegal quite in the league of Air Zimbabwe and their “RGM” 777, this is probably a new high in absurdity. Sadly, common sense for most African airlines stopped with the demise of Air Afrique in 2002. I was a frequent customer and they were on all points an Almost-World-Class airline. 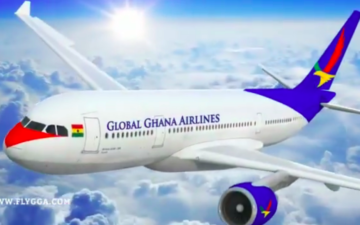 Whatever they were replaced with, Air Côte d’Ivoire, Camair-co, Air Sénégal, even Asky Airlines (though an offspring of World Class Ethiopian Airlines) simply do not make the cut. Outside French speaking Africa, the likes of South African Airways or Kenya Airways, though marginally more reliable than the above, are dancing on a wire because they they are, at best, semi-bankrupt. The Air Sénégal A 380 saga is exactly in the same vein as the most buffoon of the air transport stories on the continent (Air Zimbabwe 777 anyone?). Lucky, did you see this? Tragedy at Lukla airport in Nepal. Before you all speak too soon, the Air Senegal a330 is owned by HiFly and is leased to Air Senegal; so, presuming there’s a problem with it, HiFly is using probably their only available plane with sufficient capacity to fill in for the a330 they’re leasing to Air Senegal whilst it’s out of service. Also explains why the aircraft, 9H-SZN, has a Malta registraion. The Air Senegal A330neo seems to be flying to Paris at the moment. Flightradar says it’s on today’s HC403 from Dakar to Paris with a 12 hour 15 minute delay. It is pretty weird for them to just lease it for a single flight rather than cancelling. Does Dakar airport even have a gate that can handle an A380 or a runway that’s long enough? @travelinwilly. Surprisingly, It does with a runway length of about 11,500 ft . That cover most cases for a decent long haul on an A380. No mention of gates though. I know that this is not on topic, but I need some advice here. I have a code-share flight. I purchased the ticket with Delta, but three of the flights are operated by Korean Air. I am not able to select seats on Delta’s website or app. I twittered Delta for help, but the agent said that he cannot help with this. I called Korean Air and I was told the same thing. He did advise me to request for the code-share department of Delta, who can help with advanced seat selection on code-share flights. Is that even a thing? I did try to call Delta, but the wait time was over an hour. I did email Korean Air and I still got no response after a few days. I also emailed Delta as well as twittering them again for assistance and I am waiting on the reply. Not sure what to do. I ask on this site for professional travel advice. Has anyone been in this situation? What should or could I do? Who is in charge of seat selection in this type of issue? Thank you. @ Stanley — Tweet Delta back, ask for “the Korean record locator”. Once you have that, you’ll be able to select seats on Korean’s website or by calling. The systems use different reservation numbers, so get confused, but you should be selecting your seats with the operating carrier. Pierre – That’s probably why you don’t run an airline. Not only is this not remotely absurd, it’s perfectly logical. Can someone explain how this makes any financial sense to have a fleet of one A380 that does one flight in 6 months? They have to have a crew-who get paid for not flying?! What am I missing that this is a not a huge mistake? 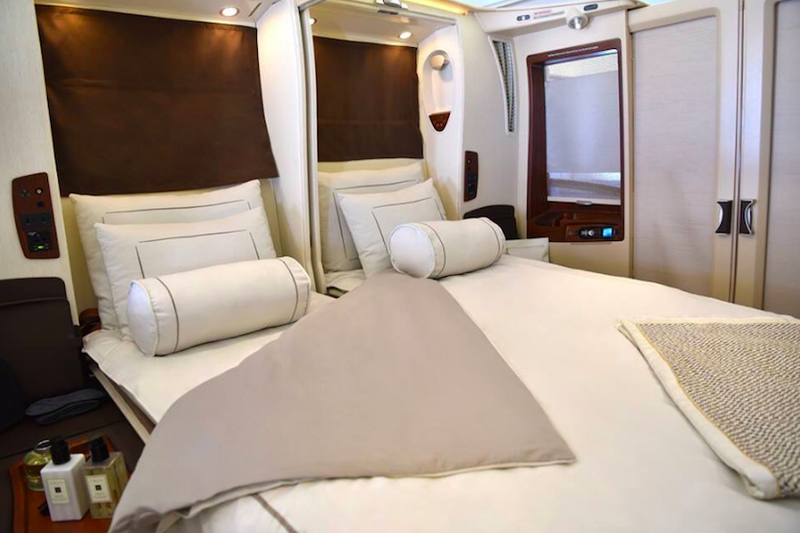 No other airline would touch a 2nd hand A380, I wonder how did HiFly think they would make money out of it? I booked 12 family members on our reunion trip to/from Manila this past Xmas from three (3) different USA cities on a variety of itineraries that connected via Atlanta or Washington/Dulles on USA end, and of course, Seoul/Inchon in Asia, including an elderly parent and two (2) others who required special services for reduced mobility. And while everyone was very pleased overall with their flights on both Delta and Korean Air, the one area that they didn’t deal with that might’ve changed their perceptions was the nightmare that often was dealing with Korean Airlines for their seat assignments as that airline does NOT disclose that for its lowest fare categories advanced seat selection is restricted to the rear-most rows, and further, one may also have to enroll at least one of the passengers in that airline’s SkyPass frequent flyer program to even be able to select their seats in advance even with the corresponding KE PNR number. To be honest, at times dealing with Korean Airlines was horrible when it came to advanced seat selection, and while they ultimately did do a great job for a family member who required a wheelchair due to a permanent injury to their foot, getting everyone’s arrangements settled took at least three (3) stops at the airline’s counters at JFK Airport to meet with employees there, while turning to Delta (which usually is very helpful), was hit or miss (and more miss than hit when it comes to its anti-trust immunized alliance partner, Korean Air). For sure, with most airlines packing in 10 teensy weensy chicken coop sized seats on their atrocious, “densified” Boeing 777s and at 31” row pitch at that, if one is flying Economy class Korean Airlines (along with Japan Airlines) is among the few airlines available to fly without feeling beat up and abused as one surely will on airlines that follow the Gordon Gekko philosophy that “greed is good” that have packed their planes with seats the precious divas in their C-Suites never ever fly themselves because they know how horrible those seats are, but they price for escaping those nasty seats on other airlines is dealing with Korean Airlines often atrocious treatment of flyers who purchase discounted fares which I found extremely unpleasant for the most part, and sorely lacking overall with one exception for the reduced mobility family member who was well provided for – after I made a special trip out to JFK Airport that is. The atrocious treatment of flyers by Korean Airlines referenced in my above comments is for advance seat selection ONLY! Everything else was very good – and my entire family was VERY pleased. btw – the itineraries were booked using Korean Airlines web site, so their original PNRs and ticketing codes were with that airline instead of Delta. However, my experience with code-shares, even the anti-trust immunized one’s is that the airlines tend to play fast and loose with things – and they typically love to stack the deck in their favor for the things that work best for them, while for things they’d rather do without one ends up in something akin to airline purgatory where neither airline wants to be helpful and instead points to their supposedly anti-trust immunized partner whom they can freely coordinate schedules, capacity and fares with, but when it comes to things that their passengers’ need and neither airline wants to be bothered, they then run an “Excuse-A-Thon” of how neither can help you while repeatedly saying you need to turn to their counterpart to deal with whatever issue neither (with the proverbial “wink & nod”) will ever deal with because they both decided it’s not either of their interests to do so. 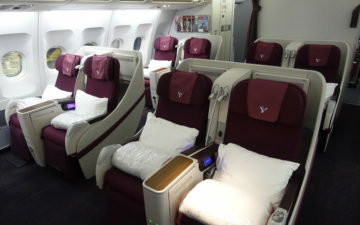 I got a LOT of that nightmare with both Delta and Korean Airlines when it came to Korean Airlines’ appalling advance seat selection “policies” for its discounted fare categories. @Tiffany thank you so much for that. I knew that I can depend on the travel professionals here. I did not actually realize that. I really hope it can get resolved fast. @Howard Miller thank you for your input. I can understand how you feel. I have been dealing with Delta and Korean Air for a few days now via Twitter, Email, and Phone Calls. It is not fun and I hope I can avoid the unfortunate seating selection that you had to experience with Tiffany’s advice. @Tiffany thank you again for your advice as Delta was able to provide that. So, I tried to retrieve my flight details with that on Korean Air’s website. I received a generated system pop up message stating that the reservation is restricted to display online and that I need to call customer service. Have you experienced that before? Could it be that they do not want me to have an advanced seat selection? Thank you again, Tiffany. @Tiffany sorry to keep bothering you with the same issue, haha!!!!! Thank you for your help. I appreciate it a lot. @ Stanley — It’s no problem at all. Let us know if that doesn’t work, and we’ll go from there. It possibly makes sense once one knows that the Air Senegal A330 also belongs to HiFly, but that information came AFTER I wrote the post. As to not managing an airline, I was in the management of Air France / Air Inter (not at the top, admittedly) for several years. I designed the world’s first Frequent Flyer program, “Horaires Confort” for Air Inter, which lasted from 1973 until Air Inter was absorbed by AF in 1997. – and for those whom may have seen my public tweets, there were times when I viewed it appropriate to vent my feelings about how poorly I viewed Korean Airlines “policies” towards advance seat selection. So, here’s wishing you well with Tiffany’s assistance, because otherwise the things you’re sharing here are as if the same words I heard or read from when I was in your shoes – and it was every bit as frustrating, infuriating and unpleasant as I’m certain you already think it is (and at least you’ll be spared the many months of THAT unpleasantness I endured as a labor of love for my family to ensure they weren’t abused the way most of our airlines now find perfectly acceptable unless one is ensconced in a private suite or paying top dollar walk-up fares if they’re stuck anywhere else these days on most of our ever worsening, but exceptionally greedy, airlines! Calls to Delta’s call centers were NOT complete wastes of time – Delta was helpful – or at least they didn’t make you feel like a pauper if they weren’t successful at getting their stubborn partner Korean Air to do something suggesting that that airline actually cared! Just want to be sure which airline is the “villain” in this reporting regarding its atrocious advance seat assignment “policies” that are notoriously difficult and fickle! And again, amazingly, there was one call to Korean Airlines where the agent was super cool and very professional in explaining what he could or could not do. So, let’s be clear on that. And again, other than the horrible advanced seat selection process, everyone was VERY pleased with their flights on both Delta and Korean Airlines for this trip! @Tiffany I really want to say thank you again. Your advice really helped me out. So, when I called, she was willing to try to open the seat map given that I provided her with the Korean Air record locator. I have to state this, because the previous agent did not do that for me and just told me that I needed to call Delta’s code share team. I thought this department was a myth. 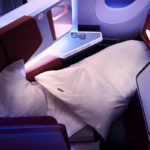 Yet, based on your help with Korean Air record locator she proactively offered me the direct line to Delta’s code share team and he was able to help assign my seats right away without any hassle. Even the hold time for this line was only like a few minutes compared to the long wait time at Delta’s main line. All of you minus the fake Endre have been so kind and helpful. It reminds me again about Ben’s previous post of the day about bringing OMAAT back to meaningful and constructive feedback. I have learned a lot from helpful websites such as OMAAT. Thank you all especially @Lucky and @Tiffany. By the way, for those who need help with this particular problem @Howard Miller, please let me provide my minor assistance as I also want to be helpful in any way possible whenever I can as I am still learning everyday. Please call 1-888-307-7959 for Delta’s code share dept. for code share flights such as KE or CI. They are nice and helpful. Apparently, the main agents can only help with seat selection for Air France/KLM flights. @Stanley, thanks so much for offering useful info – definitely will take screenshot of your post above and keep on file for future reference as I firmly believe that Delta and Korean Airlines are among the few good airlines left for Economy class flyers (along with Japan Airlines or Singapore Airlines) in an era of 10-abreast Boeing 777s and 9-abreast 787s, which I believe are wholly unacceptable for flights longer than 3-hours, let alone the 12-16 hours to/from Asia from North American gateways where they’re surely immoral and inappropriate if not quite literally criminal! So, for sure best wishes for safe and enjoyable flights to/from Asia on Delta and its partner, Korean Airlines, as there are far worse airlines you now can be assured your trip won’t be ruined by! @Howard Miller thank you so much. I do look forward to this trip. I am glad I can also offer you a bit of advice for your future travel. They realized that being confined to an intra west Sub Saharan African market limits their development. Instead he opted to quick leap to the intercontinental. First with Paris, then NYC, Buenos Aeres, Milan and few other cities with a large Senegalese, Guinéen and Malian community. They currently have 2 a319s on dry lease serving other destinations in west Africa with Dakar-Abidjan being the most profitable one. Also regarding the misconception about Hi Fly owning the 339. Air Senegal is using their IOTA certification while theirs is in the works. Hence the Malta registration. As for the a380 I heard one of air Senegal’s official say they got it at the same rate of the a340 leading me to believe the latter wasn’t available. Let’s all remember they only have on 339 (the second one scheduled for delivery in sep-oct) so you really don’t have any wiggle room to pull a plane here and plug another there when you have an AOG. @Pierre – can you share what African 5th freedom routes there are? I saw it yesterday on take off from CDG…I thought what on earth is that blue A380? Now I know! Air France: Douala Yaounde, Bangui-Abidjan, Bamako-Abidjan, Abidjan-Lome. apart but over ground it used to take 6 hours, probably still. My best guess is that most of the present ones (if still any) are with Brussels Airlines. Panam is gone, Swiss has considerably retracted in the region and Air France has mostly stopped those “colonialist” flights. The biggest bulk of African 5th freedom flights nowadays is with Ethiopian.